This enduring material has been approved for 1 AMA PRA Category 1 Credit™. This webinar is presented by the Southern California Public Health Association, California Baptist University and the Los Angeles County Department of Public Health. Original release date: May 1, 2018. Review date: May 1, 2019. Termination date: May 1, 2021. Webinar: View the archived webinar with audio. Handouts: Download the webinar handout. Physicians – to obtain a CME Certificate, review the archived webinar and click here. Other Health Care Providers – to obtain a Certificate of Attendance, review the archived webinar and click here. Local, state, and federal policies can have a major impact on health. While only a minority of health care providers in LA County are actively engaged in public health advocacy efforts, many desire to leverage their expertise to positively impact policies that promote the health of patients and communities. In this webinar, Kyle Ragins, MD, MBA, explains communication techniques, organizing strategies, and roles for physicians and other health care providers in influencing public policy to promote health. Physicians, medical students, and other health care professionals are the intended audience. Persons from any health related profession with an interest in engaging in health advocacy efforts are encouraged to attend. Explain 3 techniques for communicating a public health agenda to policymakers. List the key steps to organizing people in a grassroots effort. Describe potential roles for physicians in affecting local, state, or national health related policies. 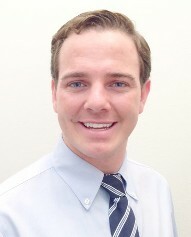 Kyle Ragins, MD, MBA is an emergency medicine physician at Olive View-UCLA Medical Center. He has more than a decade of experience working in service, research, and advocacy for underserved populations. He is on the Board of Directors of Doctors for America, a 501c3 organization of more than 18,000 doctors and medical students in all 50 states, dedicated to organizing and training doctors and medical students to advocate for policies to improve the health of our patients, communities, and nation. Alinsky, Saul. Rules for Radicals: A Practical Primer for Realistic Radicals. 1971. Ganz, Marshall. Why David Sometimes Wins: Leadership, Organization, and Strategy in the California Farm Worker Movement. 2010. Mullan, Fitzhugh. White Coat, Clenched Fist: The Political Education of an American Physician (Conversations In Medicine And Society). 2006.https://www.press.umich.edu/200182/white_coat_clenched_fist. The Los Angeles County Department of Public Health is accredited by the Institute for Medical Quality/California Medical Association (IMQ/CMA) to provide continuing medical education for physicians. The Los Angeles County Department of Public Health designates this enduring activity for a maximum of 1 AMA PRA Category 1 Credit™. Physicians should claim only the credit commensurate with the extent of their participation in the activity.